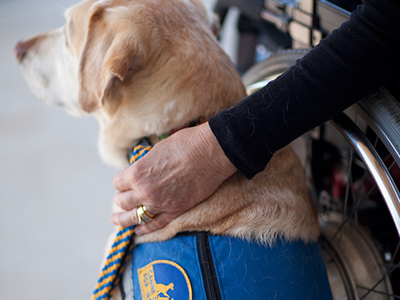 SANTA ROSA, CA – Canine Companions for Independence, the leading non-profit provider of highly trained assistance dogs for people with disabilities, announces the resignation of CEO Paul Mundell as chief executive officer. Canine Companions acknowledges Paul Mundell for 28 years of service and his contributions and expertise to the service dog industry. Paul joined Canine Companions as an instructor in 1989 and held the role as national director of canine programs for 17 years before assuming the role of CEO in 2014. Kay Marquet will serve as interim CEO of Canine Companions. Kay is the former President and CEO of Community Foundation Sonoma County who currently consults with numerous nonprofit organizations. Having served as President and CEO of Community Foundation Sonoma County, Kay managed the Canine Companions fund at the Community Foundation and participated in numerous organization events. “I’m delighted to serve as interim CEO for Canine Companions, an organization that I have known for 25 years,” shares Kay Marquet. Canine Companions has formed a search committee to begin a nationwide search for a new CEO. We wish Paul success in his future endeavors and thank him for his contributions to Canine Companions for Independence. Founded in 1975, Canine Companions for Independence created the concept of assistance dogs for people with physical disabilities and has placed over 5500 assistance dog teams. Canine Companions is recognized worldwide for the excellence of its dogs, and the quality and longevity of the matches it makes between dogs and people. There is no charge for the dog, its training and ongoing follow-up services. To learn more, visit cci.org. 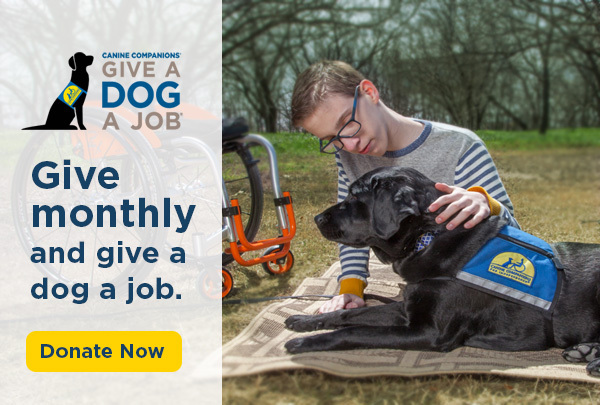 Canine Companions for Independence provides highly trained assistance dogs to children and adults with a variety of disabilities, other than blindness, and a lifetime of support to ensure quality partnerships. Established in 1975, Canine Companions has six training centers across the country, including California, Florida, Ohio, New York and Texas. Canine Companions is recognized worldwide for the excellence of its dogs, and the quality and longevity of the matches it makes between dogs and people. There is no charge for the dog, its training and ongoing follow-up services. For more information, call 1-800-572-BARK or visit cci.org.